I am somewhat late this year in writing our annual letter. As much as I try to take on a bit less, that game plan never seems to work out the way I had planned. 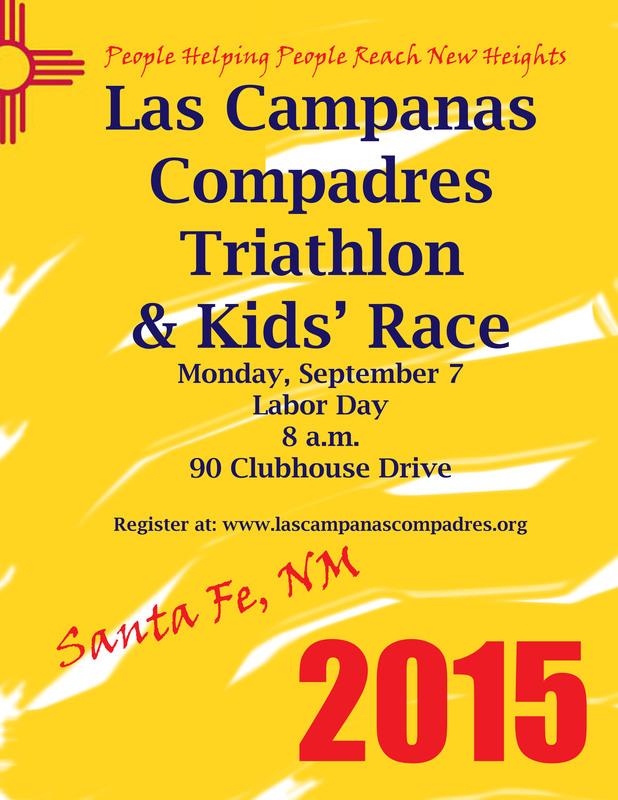 Las Campanas Compadres continues to grow and service the needs of our community. 2014 was an exciting, and also challenging, year for us in many ways, and 2015 looks to be the same. We are proud of our achievements. Since inception in May 2007, LCC has underwritten over 7,000 ½-hour private tutorial riding and swimming lessons. Our student numbers continue to grow. We now have 94 registered students (up from 77 last year) on our roster and we continue to receive new applications on a regular basis. We underwrite approximately 1,500 lessons per year. Our horse situation has changed somewhat. We now have four horses in our program. The difference is that we own them all and new last year is the added expense of LCC underwriting the cost of boarding them in addition to the vet and farrier costs we incur. While The Club at Las Campanas has been incredibly generous in giving us a deeply discounted boarding rate, it still means an added $4,800 expenses per annum. Bruno, who has been with us since the beginning, is almost now retired. He is old and does not have the stamina he once had. We have been actively looking for a home for him where he can just graze and live out his days, but that has proven to be difficult to find. Our other three horses, Sunny, Bolero and Ghost continue to do a great job for us and Karen has them well trained. We are immensely appreciative of all our board members who selflessly give their time and energy to our program. They are: Suzanna Becerra, Bob Lehrer (treasurer), Darlene Romero (secretary); Britt Gladu, Susan Sumner, Karen Evans and Dave Caldwell. Last year’s Annual Awards event took place in the fall and was once again a great success. This year’s event will again be on Columbus Day, October 12th. The children are off from school and it means that a lot more parents and relatives can attend the ceremony. Last year we awarded each student with a handsome trophy inscribed with their name. A total of 42 awards were handed out with over 80% of our students receiving achievement awards for both riding and swimming disciplines. We also want to thank all the parents who brought food and refreshments. We were once again proud to announce the winners of The Ron Walters Award for 2014. Bob Lehrer has been awesome. His tireless commitment to LCC is well documented and enormously appreciated. It takes a lot of time and energy to run a program of our size, and Bob has been one of the key people helping us make LCC the success that it is. Mimi Kingsbury is a well-seasoned vet in our program and is one of our most valued and respected volunteers. Her commitment to the swimming program has been invaluable, and she has a kind and gentle way with our students who love her. Juliana Walsh is relatively new to our program. The students love her as she always brings compassion and a positive disposition to every lesson she undertakes. Juliana takes on a heavy load of riding lessons, and we are very fortunate to have her in our program. Our 6th Annual Mini Tri was a great success thanks to the hard work and dedication of our board, volunteers, The Club at Las Campanas staff, corporate sponsors, and individual donors. I am pleased to report that we raised $93,884. We had 185 triathletes, a large increase over the previous year. The atmosphere can only be described as high energy, and we think a good time was had by all. This was the first year we added a young children category and it was immensely successful attracting about 50 participants. We think this portion of the race will grow significantly. 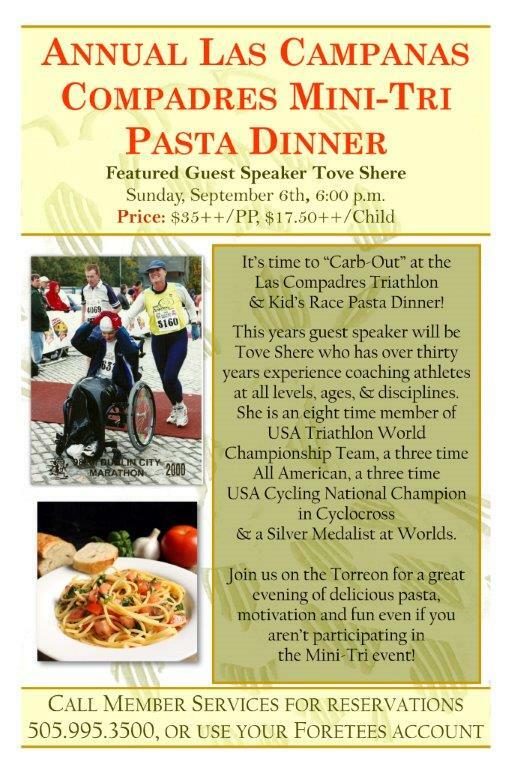 We once again used a professional organizer, FIT FUNdamentals, to organize the event and they did a great job. Rey Post was our announcer for the second year running and kept the energy level high all morning by conducting interviews with participants and volunteers alike. Rey has a very successful radio program here in town called “All Things Real Estate” and we encourage you to listen in. It is impossible to list the names of everyone who helped make this event the success that it was. That being said, it would be remiss of me to fail to mention some members of staff who put in a lot of hours to make our event possible. Special thanks, therefore, go to Britt Gladu for her support and energy around Las Campanas Compadres; Kay Lee, who has a can do attitude and always went the extra mile for us; Pete O’Brien and Deborah Fahie for making the pasta dinner event the success that it was; Todd Shaw and Mike Simpson, who were tremendously helpful in organizing the logistics of the race; David Loan who got behind the project early on and has been a great supporter; and of course all of the dining and spa staff that always did their job with a smile and offered encouragement to all the participants. We are grateful to have so many corporate and individual sponsors. A special thanks, in no particular order, go to United Airlines and Glenn Tilton who donated two business class tickets to anywhere in North and South America; United Rentals and Jenne Brittel who donated 400 baseball caps with our logo to be given out to all participants; The Lodge at Chama and Frank Simms who donated a two evening’s stay at his beautiful lodge and two days of trophy trout fishing; Mr. & Mrs. Robert McCloud who underwrote the cost of the tee shirts; Pat and Patti Carter who donated a one week stay at their beautiful home in Idaho ; Early & Early; Sotheby’s/Nancy Lehrer; Jewel Mark; ACC; Roy’s Pest Control; Don Chalmers Ford; The Club at Las Campanas, The Compound, Albertsons, Amazon, Meddleton Equine, Eye Associates of New Mexico, Devon Gilchrist, Cienda Partners, Coronado Paint, The Four Seasons, Corporate Travel Alliance, The Cleanery, Siri Hollander and Arroyo Vino. It is with great sadness that I report the passing of two of our students in the past year. Alfredo Cordoba was 36 when he died. Alfredo had an extremely rare and challenging disease whereby his only sense was the sense of touch. Alfredo was one of our most challenged students and also one of the most challenging to instruct. He had been with the program since its inception. Not surprisingly, Karen and all the volunteers who signed up to work with Alfredo met the challenge with the enthusiasm and dedication that has come to be a hallmark of our program. We know that Alfredo benefited from his riding time. His entire demeanor would change and it would be one of the rare times that Alfredo had some joy in his life. Alfredo will be missed. Eleri Claire Michaels-Northfield had just turned 6 when she died from the long term effects of shaken baby syndrome. Eleri was adopted by Karen Northfield and Pam Michaels, two of the most courageous and giving people we know. Eleri made them proud. Despite her significant challenges, Eleri had a fierce personality and met her short life head on. 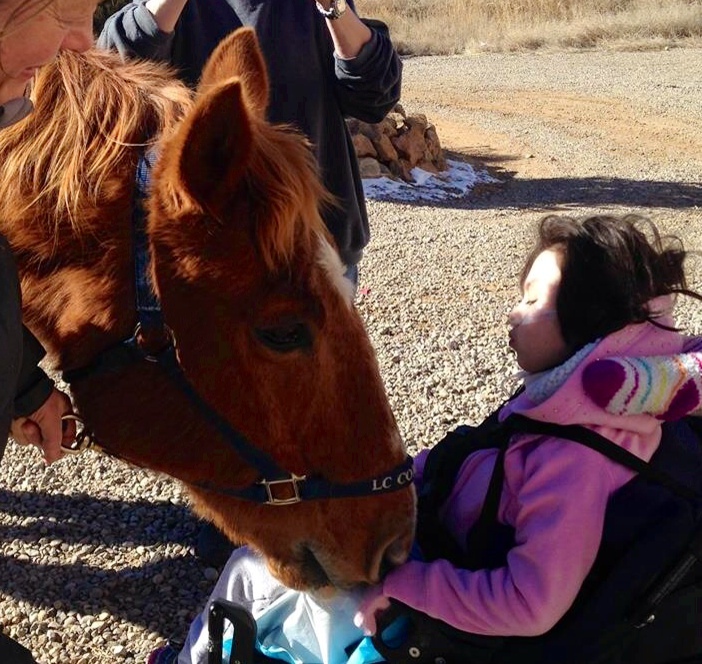 She developed an immensely strong bond with Bruno, and to any who doubt the power of horses over special needs people, one need only have witnessed the time when Bruno was brought to her home for one last visit before she died. Bruno’s obvious cognizance of the moment and Eleri’s outpouring of love for Bruno was palpable and powerful and will not soon be forgotten by those who were there. Eleri was loved by everyone in the program and her persona will live on despite the brevity of her time on earth. We do not anticipate that student growth will slow down during 2015. If anything we believe it will increase. Our challenge will be to accommodate this growth as we have capacity constraints both physically and financially. We will continue to accept new students and have instituted a rotation system in order to accommodate our increasing numbers. To improve the quality of life for Las Campanas Compadres students by supporting their goals through assistance with the funding of educational and vocational training, the purchase of medical and assistive devices or support services and related technologies. It will be annually funded by LCC with $5,000. Suzanna chairs the committee with the help of Susan Sumner, Karen Evans, Dave Caldwell, Susie Fisher and Linda Factor. They have received a number of applications and funding will commence soon. We are excited about the program and anticipate continued growth. LCC entered 2014 with $111,006 in the bank. We ended the year with $148,765. We have been overwhelmed by people’s generosity and our sincere gratitude goes without saying. Our goal is to assure the perpetuity of the program. A healthy balance sheet is of utmost importance in allowing us to achieve our goals, and while the current snapshot of LCC’s finances shows a vibrant and healthy patient, continued support is required in order to assure continued good health and longevity. It costs us approximately $60 dollars per lesson, $35 of which is the cost of the instructor. In order to achieve our goal of underwriting 1,500 lessons per year, we have to raise $90,000 from private sources. Our Albertson and Amazon programs are working out well for us, although the Amazon program has been a disappointment in terms of monies raised. The Amazon program can be used by anyone in the USA. If you use Amazon to purchase items, we would ask that you use the Amazon Smile portal, www http://smile.amazon.com/ There you can choose which charities you would like to support. Amazon donates a percentage of your purchase and you can list multiple charities as your recipients. We hope you count Las Campanas Compadres among them. During 2014 our total operating expenses were $80,430. Expenses are divided into two main categories. The largest expense category is the cost of our instructors and equipment. Last year this accounted for $56,546 of our operating budget. The balance of $23,884 was for office infrastructure and the cost of the Mini Tri fundraising event. Our budget for 2015 is $91,825. We have budgeted $63,325 for programs and $28,500 for office infrastructure. Suzanna and I want to thank you once again for your support and generosity and we look forward to seeing you all during 2015. 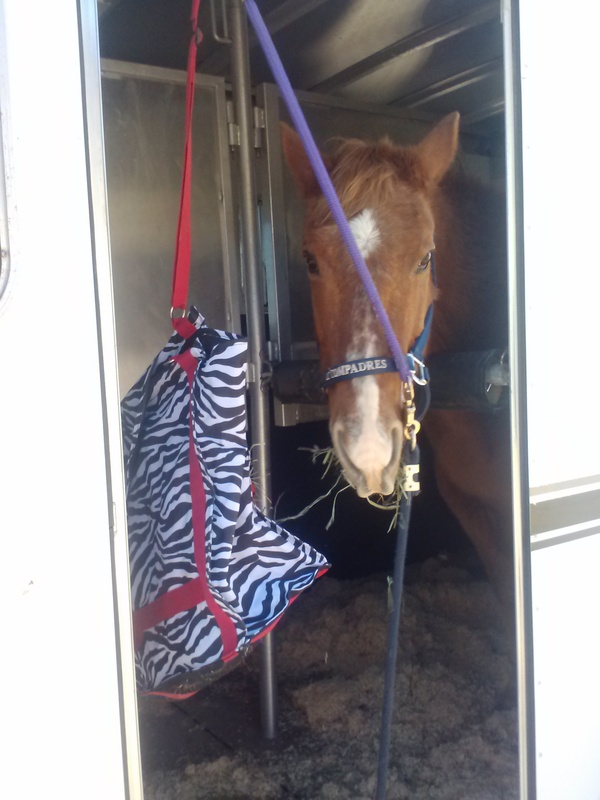 However we are only budgeted for 3 horses and so are seeking donations to help with my monthly expenses. My expenses are monthly board fee, 2 bags of Equine Senior per month and farrier service every 8 weeks, plus routine seasonal veterinary expenses. If you have any questions, please contact Karen Evans @(505) 501 3633 or horseplaynm@yahoo.com. She’ll walk you through the details. 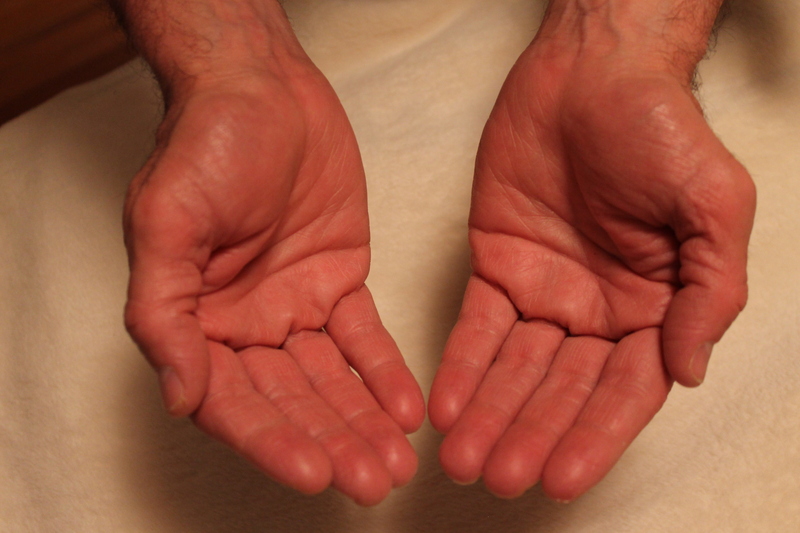 The LCC “Helping Hands Fund” is Here! Big Announcement!!! A very important mailing went out on December 1, 2014 to eligible Las Campanas Compadres students and their families/caregivers announcing the newest program meant to improve and benefit the lives of LCC students: The Helping Hands Fund. “The Helping Hands Fund is a Las Campanas Compadres, Inc. sponsored program. Completed applications along with all supportive documentation must be received no later than March 1, 2015. Applications received after this date will not be considered. Awards will be made no later than May 1, 2015. Please note, award monies will only be paid to service providers, educators or merchants. Funds will not be paid to individuals.